When talking to people about their moving experiences, we often hear the same problems, mostly to do with disorganization and moving company complaints. After receiving a few emails from readers who are also suffering from the same moving issues, we thought we'd compile a list of the top 5 most common mistakes people make when they move. If you've never moved before, or if it's been a while, we often forget just how long it takes to get things organized. Now, some of you won't have a choice of timing or the amount of time you have to plan, perhaps due to an employment-based move or because of a personal emergency. For the rest of you, it's all about organizing and timing your move in order to avoid last-minute panic. Whenever you're planning a big event, like a move, it's best to work backward; determine your move-out date, whether it's determined by a home sale or end of rent period or end of school term. Once you have your move-out date, count back to at least eight weeks, ten is preferred. We recommend an extra couple of weeks just to give yourself time to hire movers, sort your belongings and figure out a solid budget. Use the 8-week guide to moving to help prioritize tasks and figure out exactly what you need to do so that on moving day, you're not panicking because the movers haven't shown up yet! Call as many moving companies as you can, then do thorough reference checks. Even knowing that your mover has not had any unresolved complaints still does not mean that your move will be smooth, but you're certainly more apt to be able to resolve any problems that might arise. Moves are tricky. Things can get broken or go missing, which is not always the fault of the mover you can limit the stress and unnecessary hassle if you do background checks before asking each to come over for an estimate. Before you hire, make sure you ask all the questions you need to ask to ensure that you're getting what you need out of the moving company. Find out about their estimates, if the insurance will cover your things, and if there are any extra costs for services rendered. This isn't the complete list of questions you need to get answers for, but it's a start. For a complete list, check out this article on hiring moving companies. When checking paperwork, another mistake a lot of people make is not rechecking the inventory sheet to ensure that all the items packed on the truck, arrive at their destination. This is particularly important if your household items are sharing space on a trailer; it's easy for items to be left behind. If something is missing, do not sign the inventory sheet until the item is found. By not sorting through your things, you end up taking more time both when you have to pack all that extra stuff and when unpacking it, too. What's worse, is that the stuff you don't need gets unpacked and it just sits in our garage until the next time we move. Most things can be donated and it's much better than your unwanted items end up in the hands of someone who could use them, than in a box in your garage. So sort through your things first and save yourself both time and money. 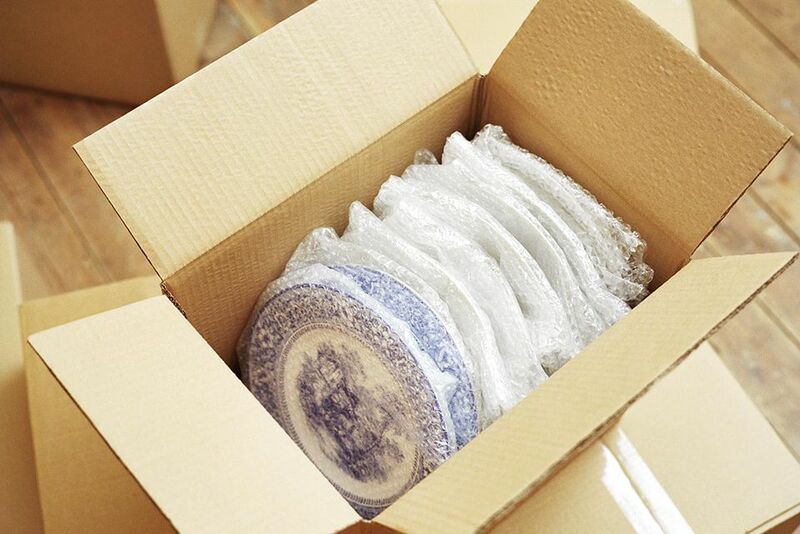 While this may seem like an obvious tip, it's incredible how most of us miscalculate the time we need to pack because when you're packing for a move, you often forget to build in time to carefully wrap fragile items, find packing supplies (especially if you're using used boxes), and the tedium that often comes with packing which requires frequent breaks with many interruptions. So plan, plan, plan. Then pick up your supplies, set aside a space to put the packed boxes and assign tasks for your family.